Florida is home to a variety of habitats throughout its long peninsula. Along the coasts, you’ll find habitats that include coastal dunes as well as iconic Florida salt marshes. Dense forests, prairies and wetlands dot the state throughout for the best day trips from Orlando. Given the variety of wildlife and landscapes, you’ll find plenty of worthy opportunities to get outdoors in Central Florida. Head to the Crystal River National Refuge from November to April. At this time, the waters are cool enough for the Manatees to seek refuge in the springs of Central Florida. 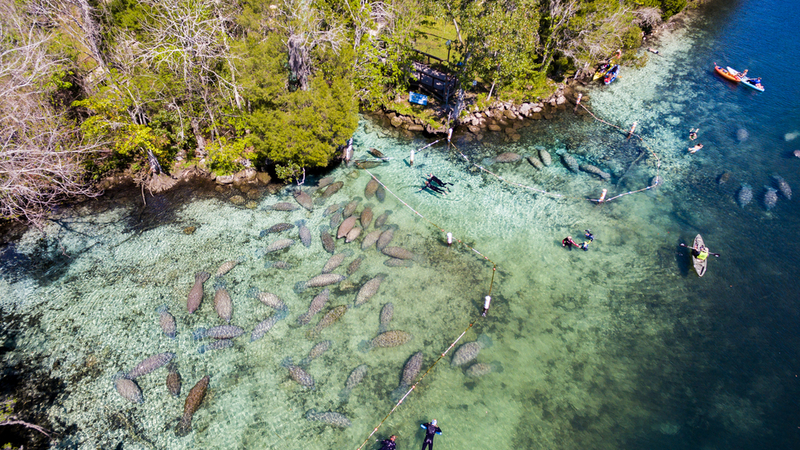 There you’ll be able to swim with nearly 500 manatees cozying up for the winter. Relax on the shores of the well-maintained De Leon Springs. Afterward, head to the on-site Sugar Mill Restaurant, where you can make your very own pancakes. Choose from a variety of delicious toppings for your breakfast cakes before going onto the next excursion. While your stomach is settling, there is a 50-minute boat tour that guides visitors through the ecological and historical points of interest throughout the park. Just under three hours from Orlando on Florida’s east coast, you’ll find traditional Japanese gardens created by the Yamato family in the 1970s. Morikami Gardens are situated on sixteen acres of lush land in Palm Beach. Including a world-class bonsai collection and strolling walkways, the gardens feature different eras of Japanese history as well as connected pathways. Cape Canaveral is home to the Kennedy Space Center as well as another marvel, too. From May to November, bioluminescent creatures known as Dinoflagellates light up the coastline at night. Their bright lights are activated every time your paddle hits the water. Tours depart each night from 8:30pm to midnight. Travelers making their way through Central Florida will find an enormous amount of attractions to visit. Central Florida is home to a nearly overwhelming array of shows, museums and interactive exhibits. Take your pick from an array of great entertainment. Perhaps the greatest museum you’ve never heard of, the Dali Museum sits on the coast of Tampa. The Dali Museum houses a large collection of surrealist painter, Salvador Dali’s work. Aside from the permanent collection, the museum also hosts a rotating selection of exhibits from around the world, with topics as varied as molecular gastronomy and Da Vinci’s machines. Get as close as you can to rocket launches, the Saturn V rocket and even touch a piece of the moon at this take on NASA hospitality. Several times a year, Kennedy Space Center hosts family Overnight Adventures where you can camp out under the Space Shuttle Atlantis as well as see the stars. Head to Weeki Wachee Springs to watch an underwater mermaid show in the 400-seat submerged auditorium at this state park. Afterward, meet the mermaids to impress the kids. The show recreates Hans Christian Andersen’s classic story, The Little Mermaid, so the whole family can enjoy this activity. Just a little over an hour south of Orlando is a singing tower surrounded by a stunning collection of gardens. Located in Lake Wales, Bok Tower Gardens contain 60 bells which form an instrument known as the Carillon. You can hear the Carillon play throughout the gardens every day at 1 and 3pm. Although many visitors to the Sunshine State have a hard time seeing past the glow of the Mouse, there’s a lot of history to explore here, too. From St. Augustine to Villa Vizcaya in Miami, there’s plenty to see that will please the historians among you. 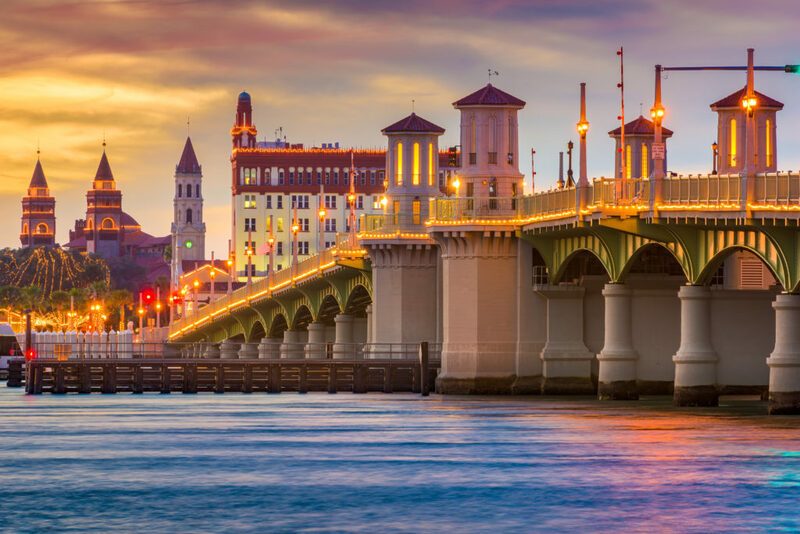 A historic phenomenon founded in 1565, St. Augustine is one of the oldest cities in America. Today, it’s a thriving town where you can visit dozens of historical sites. Tourists can see the oldest masonry fort in the US, Castillo San Marcos, the Lightner Museum and Fort Matanzas. North of Orlando in the small town of Maitland is the Maitland Art and History Center. The center hosts a rotating collection of art exhibits as well as a permanent selection of historic Florida objects. Readings by local and national authors are also common throughout the year. Additionally, visitors can take a delightful stroll through the grounds including a garden and chapel built in the Mayan Revival style. Open to the public 363 days a year, the Ponce de Leon Lighthouse was lit for the first time in November of 1887. These days, the St. Augustine marvel is more for educational purposes. 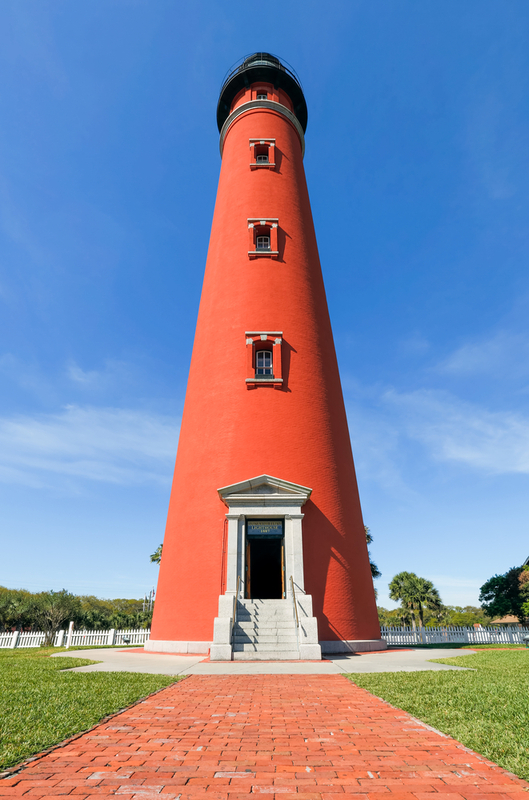 Only closed on Christmas and Thanksgiving holidays, the lighthouse and attached museum offer one and a half to two-hour tours to visitors looking to learn the in-depth history of Ponce de Leon Inlet. Created as the home of industrial executive John Deering, the Villa Vizcaya is a Mediterranean Revival estate. Located in Miami, the villa has European-styled gardens and a luxurious pool partially enclosed in a grotto. During the holidays, you can see all the festive decorations just as they would have been in the 1920s. Florida’s best beaches are only a hop, skip and a jump away from the theme park capital of the world. Whether you want exciting dining and attractions to accompany your day at the beach or a tourist-free strip of sand, you’ll find it in Central Florida. Some of the closest (and best) Florida beaches are closest to Orlando. Similarly, tourists and locals love to plan their getaways to these more tropical locations. The best time of year comes during the winter months when the sunshine still radiates in the south. 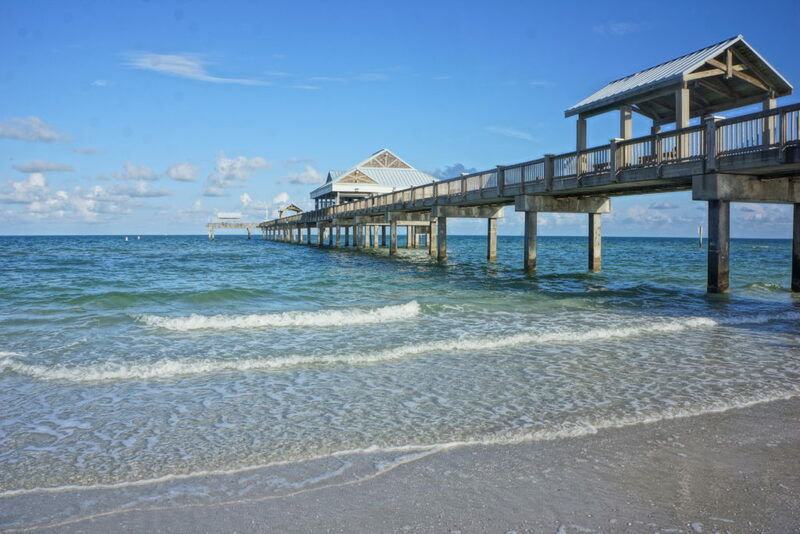 Perhaps the most popular Florida beach destination, Cocoa Beach is a laid-back strip of sand where you can rent a surfboard and ride the gentle waves. The main attraction here is the Ron Jon Surf Shop, which sits right on the beach. A massive shop with towels, bathing suits and sunblock, you won’t have to worry about forgetting a thing. If you love busy beaches, Cocoa is sure to fill your social needs. Ormond-by-the-Sea is a hidden-gem beach just an hour from Orlando on Florida’s east coast. If you’re looking to beat the crowds and experience a slice of “real” Florida, head to Ormond Beach. On Florida’s western coast just north of Tampa Bay is Clearwater. Here lies a soft, white sand beach that delights tourists and locals alike. Besides the beach, there are plenty of attractions to keep you busy afterward. Take a dolphin watching tour or head to the Clearwater Marine Aquarium to see exotic sea life up close. For a beach day trip that emphasizes Florida’s natural wonders, head to Amelia Island. Not only is the beach a beautiful example of Florida’s coastal habitat, nearby is also Fernandina Beach. Fernandina offers a glimpse into Florida history that dates back to the 16th century. It come as no surprise that Florida maintains the largest inventory of timeshare properties in the United States. 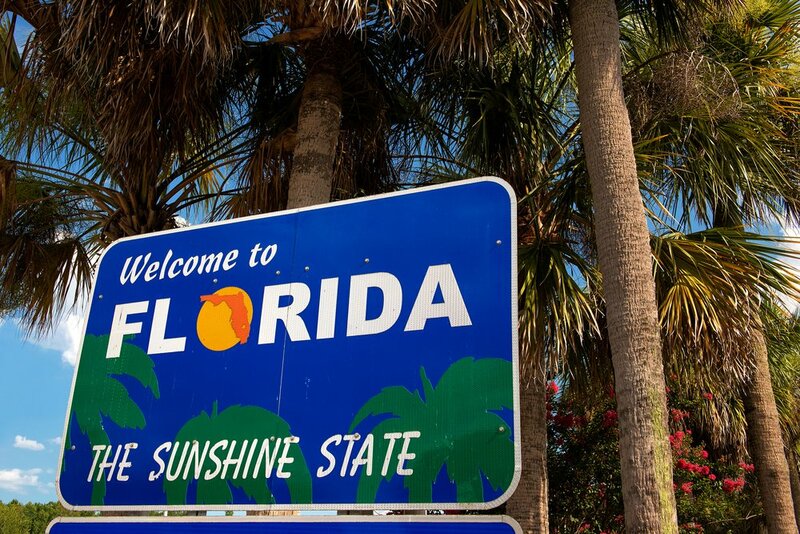 With all of these exciting and memorable trips in one of Florida’s most populated cities, vacationers can find variety in their trips every year. The timeshare industry is celebrating it’s eighth consecutive year of sales growth from resales, rentals and retail purchases. In fact, timeshare occupancy rates were about 15% above the average hotel. Owners and renters of timeshare love their exclusive amenities and savings. With so many things to do, it’s no wonder that Orlando is one of the most sought-after vacation destination.